Once you’ve made the leap and you’re reading e-books exclusively — and it doesn’t take long to reach a point where you simply don’t like reading paper anymore — it’s at this point in time you can start systematically moving yourself to 100% paperless. 1. You’ll have all your books, including your keepers and favourites, at your fingertips, instead of scattered across different formats and locations, making you have to remember where they’re located. 2. You’ll never again lose any of your books because of aging paperbacks, friends failing to return borrowed books, or simply loosing the physical copy of the book. And your dog will never be able to chew your favourite book to pieces. 3. In the long run, you’ll save money. Once you’ve replaced your paperback copies, you’ll never have to do it again. 4. You’ll save space in your home. 5. Your library of books will be super-portable from now on. This will be a gradual process, dictated by your bank account, how many paper books you’re hanging on to, and also, how many of those books are available in e-book format now. Not all romances are available in e-book — yet. This is a self-correcting condition, though. Publishers are working to bring old titles out in e-book format, and if they’re not, authors are fighting to get their rights back and self-publish those titles. Sooner or later, the keepers you have on your shelf will re-emerge as e-books, allowing you to replace them. You can figure out for yourself the best way to work through your paper collection. Start with your favourites, or start at the A’s and work through to the Z’s. Or start with a sub-category or series, or an author. Your choice. Once you have replaced the paper book with an e-book, you get to decide what you are going to do with the paper copy. The obvious solution is to sell the paper copy to a second-hand bookstore, and recoup some of your original investment. Here’s something to keep in mind, however: You’re not the only reader who is replacing their paper book collection with e-books, and the rate that this is happening is only going to speed up in the next few years. Second-hand bookstores will start to be inundated with paper books soon, and the chances that you will be able to get any money for your paper collection will diminish the longer you wait to replace it. The paper copy will not last forever. It is going to fall apart as the glue dries and the paper disintegrates. Then you’ll have lost it, anyway. If you love the cover, why not find a high resolution copy of it on-line, or get it professionally scanned, then have it printed and framed for your wall? Then you’ll have the best of both worlds: A well-preserved reminder of the book, and the permanent e-book of the contents. If you use a Kindle to read your books, then your Kindle device already “manages” your content for you. There will be a directory on your hard drive called “My Kindle Content” that contains all your e-books, along with all the meta-data for those books (you tags, dictionaries, bookmarks, comments, etc). 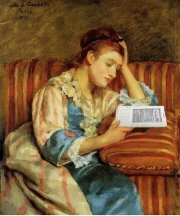 If you’re using any other reading device, including iPhones, iPads, Smartphone, your desktop or laptop computer, or a dedicated e-reader that has sucky software, then you should consider downloading and using an e-book library manager like Calibre, that keeps your e-books catalogued and organized on your hard drive, plus talks to and synchronizes and formats your e-books with your reading device(s). You can also use Calibre to shop for new books, too. If you’re using Apple devices (iPad, iPod Touch, or an iPhone), then you can also use iTunes to manage your e-books, keep them synchronized on your reading devices, plus shop for new books, too. The only limitation with iTunes is that it will only let you shop at the Apple store. If you’re not already backing up your computer data to some sort of off-site storage facility — a data hard drive on your home network, or an Internet data back-up services, or a back-up media drive, etc, then at the very least, back-up your e-book directory once a week or once a month, and store that back-up somewhere safe. How soul-destroying would it be to lose your entire library of books? Think about that, then put some sort of back-up plan into action. Even if you’re using a Kindle, do not depend on Amazon to keep your library safe and sound for you, forever. Back up your “My Kindle Content” directory. Even if you’re dumping a copy onto a thumb-drive once a week and tossing it into a drawer, you’ll be glad you did if Amazon ever again pulls a stunt like they did a couple of years ago when they literally took back books off readers’ Kindle overnight when they had an argument with a publisher that wanted to withdraw copies from publication. Readers woke up to find books they had bought had simply disappeared from their Kindles. There’s no reason why Amazon might not make a mistake and delete titles from your personal library. Play it safe. Back up your library for yourself. Also, do not depend on on-line booksellers to keep copies of your purchased books on “your” bookshelf in their store forever, either. I made this mistake with one on-line bookseller, and found that after a certain amount of time passed, they simply deleted the books from my shelf – with no warning. Always download purchased e-books to your own hard drive and consider that to be your master copy. How often you back up your e-books depends on how frequently you’re buying new titles. If you’re a rabid reader and buying dozens of titles a week, then weekly back-ups might be wise. Yes! What Tracy said. I have multiple back-ups. Just one observation. Many of the books I own are not only out of print, the author’s have died and there are no plans to publish them in digital format. They are no longer “popular”. As I replace, I do weed out the bookcases, but there will be a LOT of mine that will never be available in digital. At 6K+ print books…any I can replace with digital is a help. Sigh… that darn apostrophe. It’s supposed to be authors…not author’s.